New Zealand is more than just a pretty face… although, we won’t deny it is pretty! It’s a country with a unique cultural heritage, from Māori traditions to world famous geothermal landmarks and epic landscapes made famous on the big screen. But what if you don’t know where to start? Don’t worry, you can begin your journey into New Zealand culture right here, with some cultural highlights from the Land of the Long White Cloud! Māori culture runs deep throughout New Zealand, you may have seen the All Blacks rugby team perform the haka (Māori war dance) before their matches – but there’s so much more than that to discover! 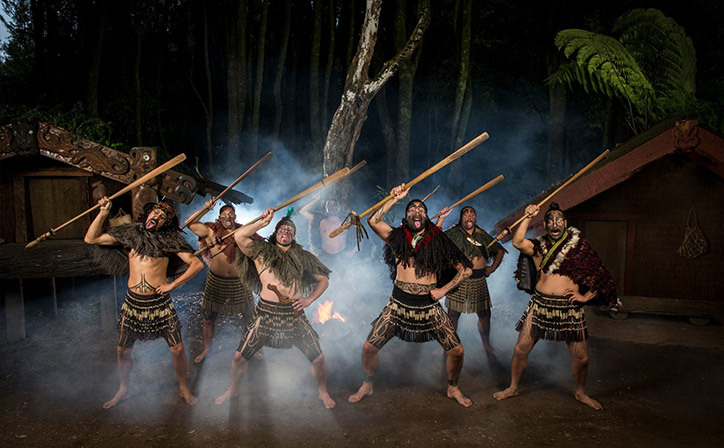 If you’d like to see a haka up close and personal on your New Zealand holiday, a visit to Rotorua is in order, where at a local Māori village, you can watch performances of haka and enjoy a hangi meal… where the food is placed underground over hot stones to cook for many hours. The flavour is totally unique! Rotorua is NZ’s geothermal capital, home to the famous Te Puia geyser, Māori architecture and arts and crafts. Tours can be done in as little as half a day and are always a highlight. Movie-lovers of all ages flock to New Zealand every year to see the famous landscapes and movie sets from the Lord of the Rings movies. At Hobbiton you can see the real movie set with all its famous landmarks, like Bag-End, and feast on a banquet in the Green Dragon dining room. In Wellington, half and full-day tours offer views of many of the filming locations for the movies, plus visits to Weta Cave and Weta Studios. 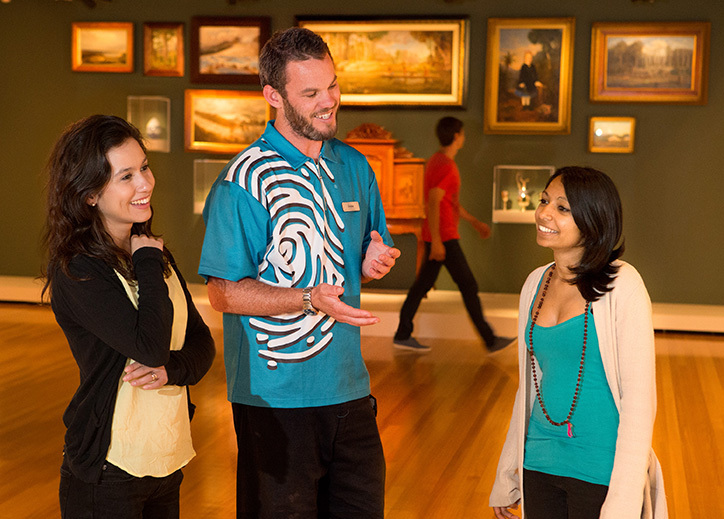 New Zealand’s most famous museum is the best way to experience the local culture while on a limited time frame – it’s centrally located in Wellington. Te Papa showcases Taonga (Māori treasures) and a wide variety of exhibitions dripping with Kiwi culture. This tour allows you to experience two of New Zealand’s most magical attractions in one day! In beautiful Hokianga in the Bay of Islands you’ll meet the legendary tree Tāne Mahuta – the oldest living example of the Kauri tree, an imposing 50 metres tall! Some visitors have been brought to tears by the majesty of this tree and its aura. The nearby Kawiti Caves are family-run and are dotted with beautiful glow worms and limestone sculptures. 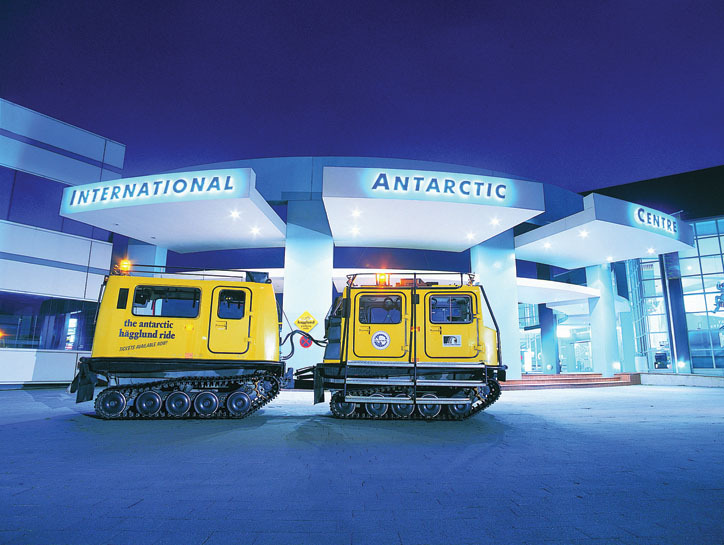 Chill out with Penguins, experience the icy landscape of Scott Base and test your ability to withstand the cold in freezing water… just a few minutes from your hotel! This isn’t a tour to Antarctica, but it’s the closest you’ll get without making that journey! It’s a Christchurch institution, and a favourite with kids. 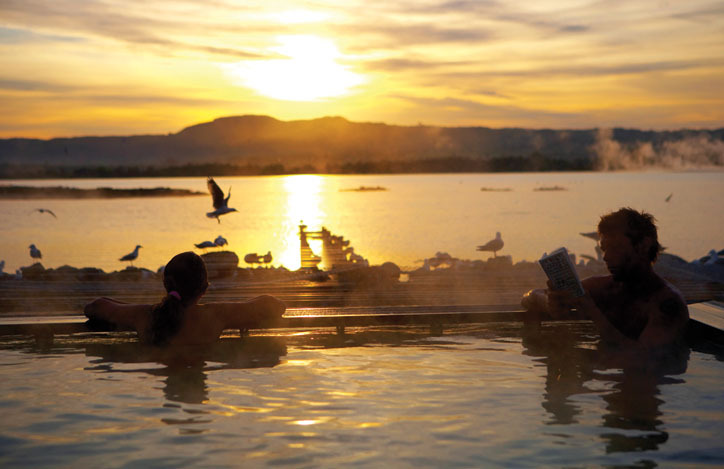 One of Rotorua’s top attractions, the Polynesian Spa is pure relaxation with a geothermal twist – the hot mineral waters are sourced from natural springs. Slightly acidic pools soothe sore muscles and joints, while the more alkaline pools result in skin that’s naturally glowing! Always wanted to see the Haka up close? Let Relaxing Journeys help you plan your next trip.